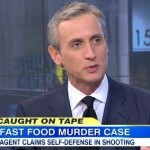 Dan joined the Good Morning America team on Tuesday, July 15th to discuss the federal agent who is on trial for shooting and killing 23-year-old, Kollin Elderts, at a McDonald’s in Waikiki, Hawaii in 2011. Agent Christopher Deedy has claimed self defense in the slaying but was caught on tape, via surveillance footage, killing 23-year-old Elderts, while he was off-duty. Deedy’s first trial ended in a deadlocked, hung jury but it painted him as a bar-hopping drunk the night he shot and killed Elderts. Deedy has pleaded not guilty. 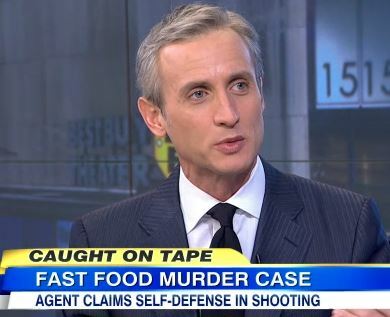 Says Dan, “I think prosecutors have an advantage here, they can fix the mistakes that they made at the first trial. He testified in the first case, so they can go through all of that testimony and try and pick apart new inconsistencies when he takes the stand again so they have a new opportunity inconsistencies. The judge has also made a couple of rulings that seem to favor the prosecution but, remember, this was 8-4 for acquittal in the first case meaning it was pretty close to him getting an acquittal but the jury ended up being hung.” Watch the full clip here.